Emerica Laced come in two Vegan color ways for the Fall 12 season! A super light weight and thin cupsole. 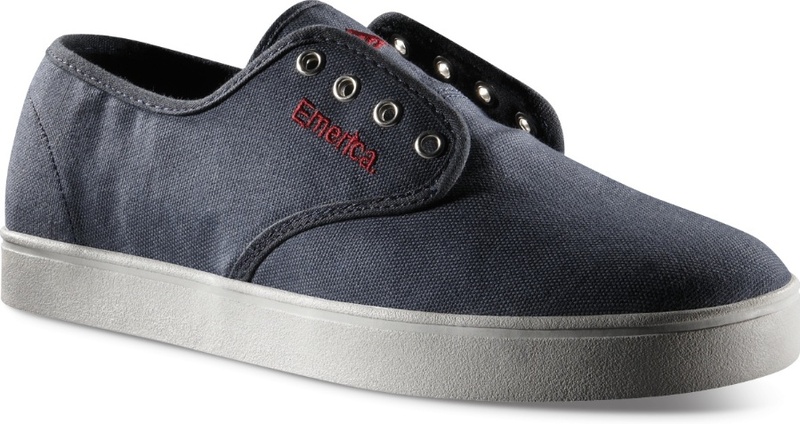 Its nothing but a functional skateboard shoe and a favorite for the Emerica team. Despite the name “Laced” the shoe is meant to be worn with out laces. The thin tongue has a hidden elastic band to hold your feet snug. Perfectly skate-able but these fancy colors are your ticket to classy town.